At EVOO in the Courtyard, we offer honest ingredients and craft our dishes with care,honouring traditional pizza-making methods passed down for the last 300 years. At the heart of our kitchen is our wood-fired oven which inspires our chefs to create amazing pizzas. We love what we do, and we're here to take care of you. We offer gluten-free and vegan options, and special meals for kids. Serving quality Mediterranean fare at your doorstep, it's EVOO in the Courtyard. My whole dining experience was excellent. The temperature inside the restaurant was a little on the cool side. Good food, however outstanding service! Worthwhile to try it out. I loved the overall vibe of this place. Relaxing and a good cross between casual and formal. The cashew cheese toast was outstanding, as was everything else me and my girlfriend ordered (fries, beyond sausage ragu, duck gnocchi and a vegan featured pizza). Our server was absolutely lovely and I will definitely be back. Love all the vegan options. Service is exceptional! Great food and portions and great atmosphere. This was my first time using open table to reserve a time at a restaurant. That was a good experience, very user friendly. The restaurant itself was not crowded at all on a Sunday evening in late March. Just two of us and we liked the overall decor and ambience of the place. Our server was friendly and knowledgeable and we enjoyed the food and the wine. The menu has a big vegan selection which is fine; I like vegan but it was kind of heavy on cashew based items and I can’t eat cashews; but that’s a small complaint overall. Loved the mushroom arancini ??? And my husband thought the cashew butter toast was very tasty. Food was delicious. Waiter and chef were open to special requests. Service was excellent. The staff are great and accommodating, they adjusted the sound perfectly and worked out the parking easily. The place is lovely. the food is up and down. For the regular menu it is hit or miss. the steak is no deal. perfectly cooked but, jeese, small meal. Once again, great staff, means a lot. While my overall experience at Evoo was adequate, I was extremely disappointed that we waited an hour for our meals. Secondly I was disappointed that my table for 8 was directly in the middle of the room, even though I had requested a quiet corner because several of my guests had hearing issues. Since some of the party arrived before me I did not want to inconvenience them so did not mention the table request to the server. I had made my reservation at least a week in advance so I expected my requests would have been met. Went on a quite Tuesday evening just the two of us ,for the most part our experience was satisfactory except for the fact that my main (lasagne) was just warm,I was very disappointed. The room was very cold as well I would guess about15 decree and the men’s bathroom I guess was a few decrees lower than that,the women’s wash room was a little warmer as my wife mentioned they had a space heater .We both left there chilled and thought our experience could have been so much better if we where in a warm room and was served hot food. We have been to the restaurant a few times as we have the desire for Italian style food( lasagna and a fish soup they no longer serve) now and this will be our last. I hope the temperature of the room was not a cost saving measure,as they had propane heater on outside. (this was March 12 still winter in Newfoundland,no body was sitting outside that’s for sure. Nevertheless, we did buy dessert and it was delicious. Going away dinner for my daughter. Had a great night! 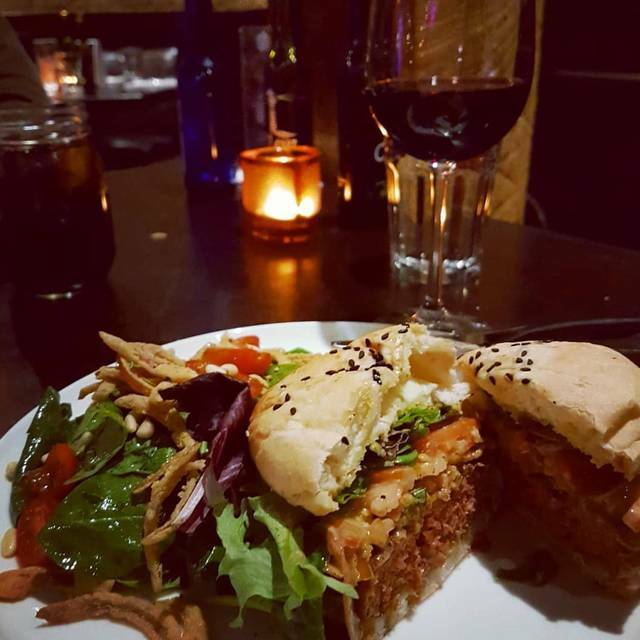 Good food,wine and great service. 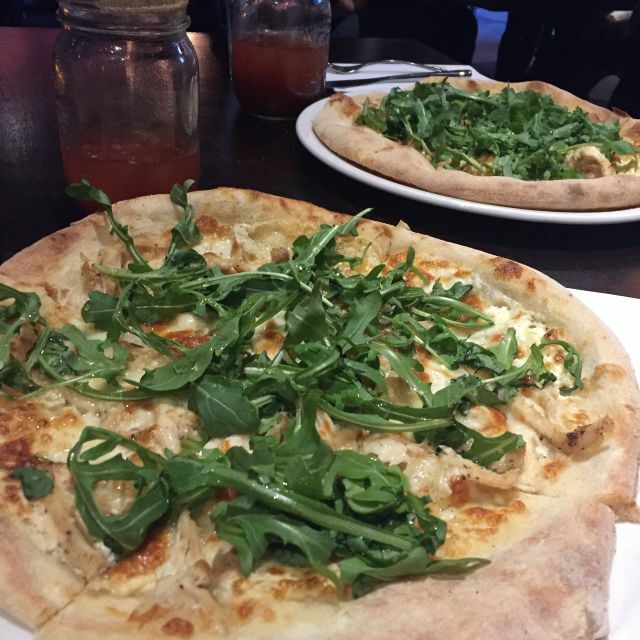 This was my first time at EVOO and I went for my Birthday supper with my family. We had a reservation and were seated at the back of the restaurant by a server station. I would have much rathered the front section, which seemed to have a better ambiance. We also all found it so cold in the back section that we kept our coats on the entire time. The service was great and professional, although I did find it too formal for my liking and a bit impersonal (I would have liked to know my waitress’s name, and for her to ask if we were celebrating anything special!). 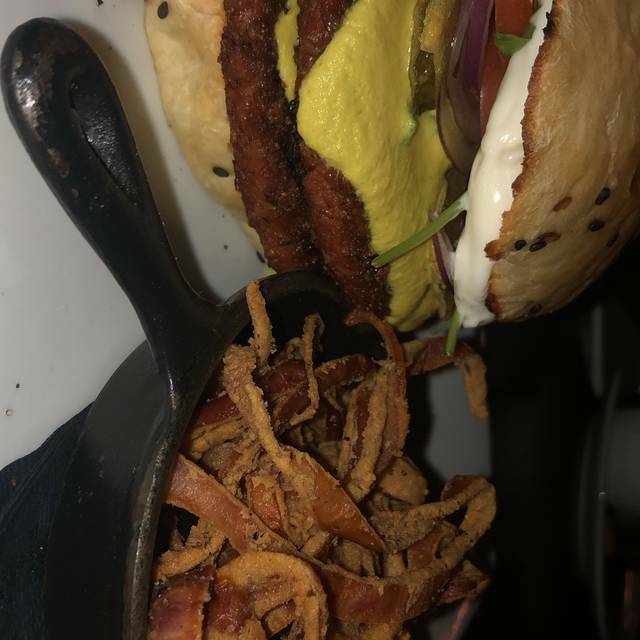 They were very accommodating with our food modifications (my dad wanted a plain burger and I have some inolerances), and we all enjoyed our meals, except for me, but it was just a taste preference. Overall, it’s a great restaurant for a formal occasion, but I found it so quiet that I was afraid to have a conversation. I’ll definitely go back in the future and try something else on the menu! Delicious meal, nice ambiance and exceptional service. Will definitely be back! I loved the atmosphere! Gorgeous stone walls! We found it chilly though. Great dinner and service. It was very cold in the restaurant. Server was 10/10. Found the room cold and it did not warm up. Food was 10/10. The meal was nice but it honestly didn't seem special considering the price. the service was very good and they did an excellent job of taking care of us even though they were booked to capacity. The part that really bothered me is that we were near the side door and it was very cold. we spoke to the table next to us who made comments throughout the dinner about how cold they were as well. It seems like a lovely place for the summer time. Ive been to sit in the courtyard before and it was excellent, it just seems like they might not be fully prepared for winter. Cute spot, had the Prosciutto pizza. Seemed a bit lack lustre. 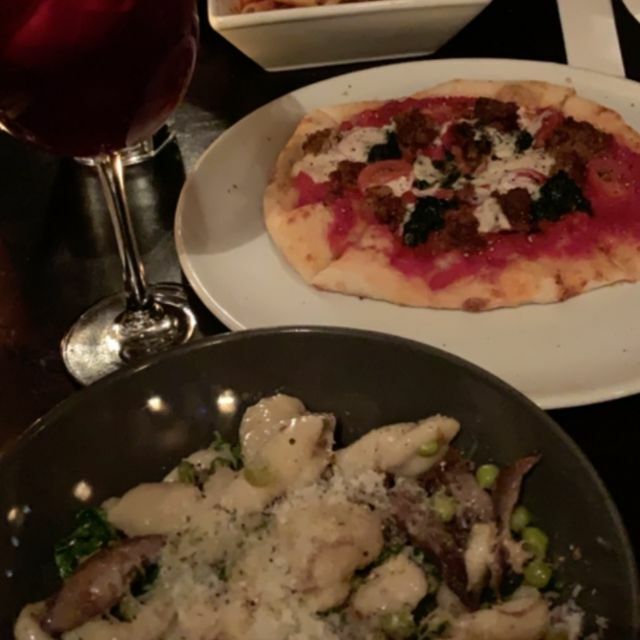 Friend had the vegan gnocchi and enjoyed it. Service was a bit slow. I would return ! Awesome service , nice atmosphere. Delicious food! Beautiful restaurant with great service and great food. Surprised there was a fee for parking. I was super cold. My wife had to put her jacket back on. She asked the server he said he could do nothing. The music was loud. They called me only 2 days before Valentine’s Day that it was a special menu only. Not enough time to book somewhere else. Apps were OK. The wife’s wine tasted like the bottle was an old bottle opened a while ago. The chicken parm tasted very bland and plane, duck was OK. And my wife only had one bite of her desert. Not the quality I expected for a $180 night. Don’t think I will ever go back. Overall, another great experience at Evoo. I would recommend trying this establishment, great service, atmosphere, and service. I will be back! Had a great time at EVOO! Wonderful service, wonderful food, great atmosphere. Would definitely go back again. 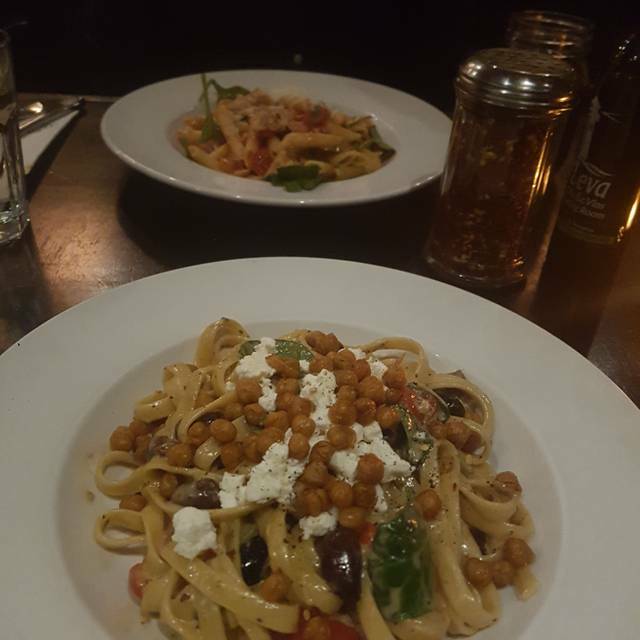 This place serves delicious Mediterranean/Italian food, with a regular menu and a full VEGAN menu. Food is fantastic, ambiance is romantic, and service is excellent. Great value for the amount of food! Service, food and atmosphere was great!! The staff were lovely. Most of the food was lukewarm and though nicely presented tasted good enough but not great. Except the arincini which I liked. Really warm staff anyway.